Tiny Slots Review - £5 No Deposit Bonus upon Registration! Mobile Bingo Bonuses aim to bring you the top gaming sites around, especially when they’re from the top providers. Tiny Slots launched in 2016 using Nektan software and for any of you out there who play regularly, you’ll know that this means you’re in for quality gaming. Tiny Slots is the ideal site for the modern gamer, because it combines incredible slots, bonuses and even the top banking methods. So let’s begin with the games which obviously include slots, but there are also table casino games such as Roulette and Blackjack. To enhance your experience you can access a large number of games on your mobile and tablet devices. This means you can play favourites such as Starburst and Cleopatra, whenever you choose; because great gaming should be available when you want! Pay by mobile banking available through Boku. 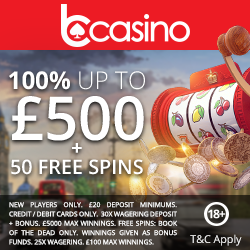 Your bonuses begin the moment you register, because Tiny Slots give you a £5 no deposit bonus simply for entering a few personal details. This extra credit is the best way for you to try out the site, before spending any of your own money. 3rd deposit, 50% cash match bonus on amounts between £10 and £250. It’s not all about the welcome bonuses though, because Tiny Slots continue their generosity through the incredible weekly promotions. These include the Tuesday Match and its 25% credit boost, Bonus Spins on a Thursday and Cash Drop weekends. If you enjoy Tiny Slots as much as we think you will and you become a regular player, then you may be invited to their Privileged Scheme. This is invitation only, but it can lead to you receiving additional cashback, weekly bonuses and spins. Tiny Slots like to keep their players updated on game releases and promotions through their Facebook page, so make sure you follow them to be in the know. For those times when you require support, you can contact a Tiny Slots representative via email, telephone or post. They accept the usual banking methods including Credit and Debit Cards, Neteller, Skrill and Boku. The ability to pay for your credit by using your mobile contract through Boku, is an increasingly popular banking method. You simply provide your 11 digit mobile number and verify acceptance via an SMS. You will be capped on the deposit amount per day initially, but this tends to increase over time. Then when your mobile bill comes through you simply pay it off. 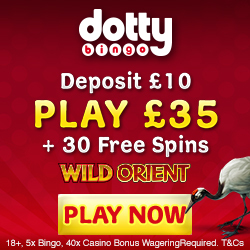 To enjoy this amazing range of games and the £5 no deposit bonus, simply head over to Tiny Slots and enjoy.